When TRAVELSAVERS opened its doors in the early 1970’s, the idea of independent agents organizing into a consortia was relatively new to the travel industry. Today, TRAVELSAVERS, headquartered in Oyster Bay, NY is a premier international marketing organization, spanning 35 countries with more than 3,000+ independently owned full-service travel agencies that generate over $22 billion in annual travel sales. We didn’t get here overnight! 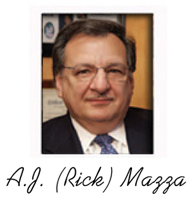 Founder Rick Mazza’s entrepreneurial spirit and drive to deliver relevant offerings to the travel industry, has produced 18 brands under the American Marketing Group family. The essence of family and passion for their commitment to the travel industry flows from the top of the organization right down to every employee, to every brand, client and supplier relationship. We have a unique approach in that we customize our products and services based on the needs of the individual agency. When you partner with TRAVELSAVERS you are working with all 125+ employees who have the agent’s best interest in mind. You are not a number; you are the most important part of our family! The TRAVELSAVERS family includes our agents, suppliers and employees. The executive team is powered by a combined 90 years in the travel industry; all are recognized industry leaders who have received many awards and honors for their commitment to the travel agency community. We take great pride in our leadership team who have decades of travel expertise that includes exclusive supplier partnerships, technology know-how and relationship building skills that are unmatched in the industry. TRAVELSAVERS is as focused today as we were back then, creating efficiencies and growing agencies leisure and corporate business. Our service philosophy is simple; no two agencies are the same, we build our technology and customize our marketing programs and solutions with your unique needs in mind. Our business development managers are in close contact with you and work one-on-one to create a personalized marketing plan to help you strengthen your brand message and improve your bottom line. With the TRAVELSAVERS organization behind you, agencies have the resources and the power to promote your brand, not ours, so that you stand out as a travel leader in your local community -- and around the globe.